I wanted to see how far I’d get if I levitated off the Sword of Sargeras! Seriously, Divine Star is dumb sometimes. It’s not a big deal out in the world, but I hate it when it shoots in the wrong direction during a raid. Mages have this problem with Frozen Orb as well. Go home, Divine Star, you’re drunk. Blog Azeroth: What would Devee do as an NPC? I play a troll discipline priest named Devee. If Blizzard added me as an NPC, I’d hopefully be in the Valley of Spirits in Orgrimmar. As weird as it sounds, I’d like to offer quests only to troll priests. I know that’s limiting, so sure, we can open it to all Horde priests if you really insist. It would make sense to place me in the hut to the right in the background of the one pictures in my screenshot because that’s where the caster trainers are; however, I find it ugly. It either needs some more trees, or I’m planting my NPC right here! 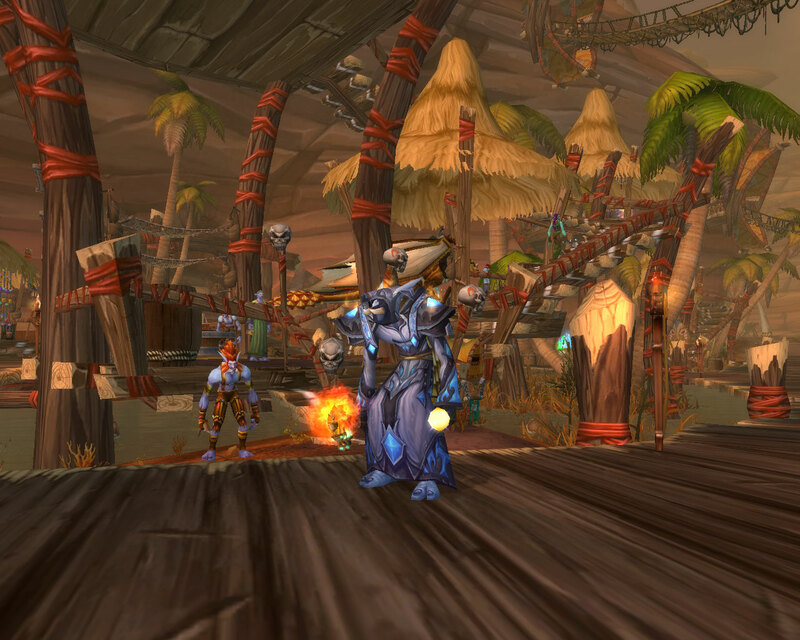 However, I definitely want to be in Orgimmar and not on the Echo Isles. 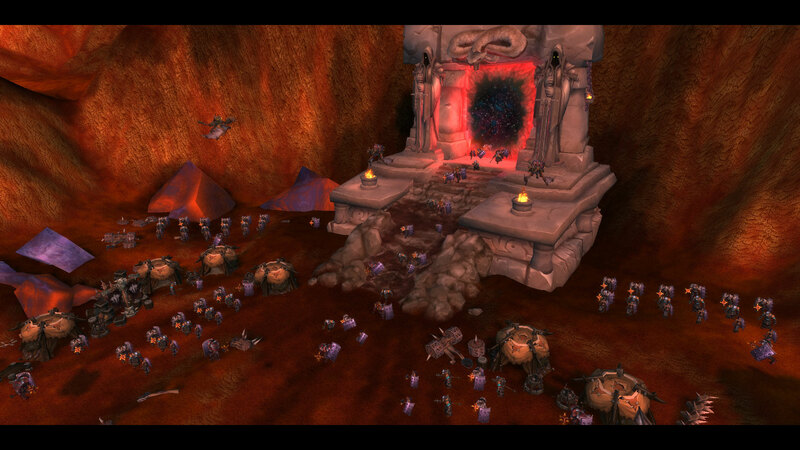 Despite my disagreement with the politics of Garrosh, Orgrimmar is the center of the Horde. 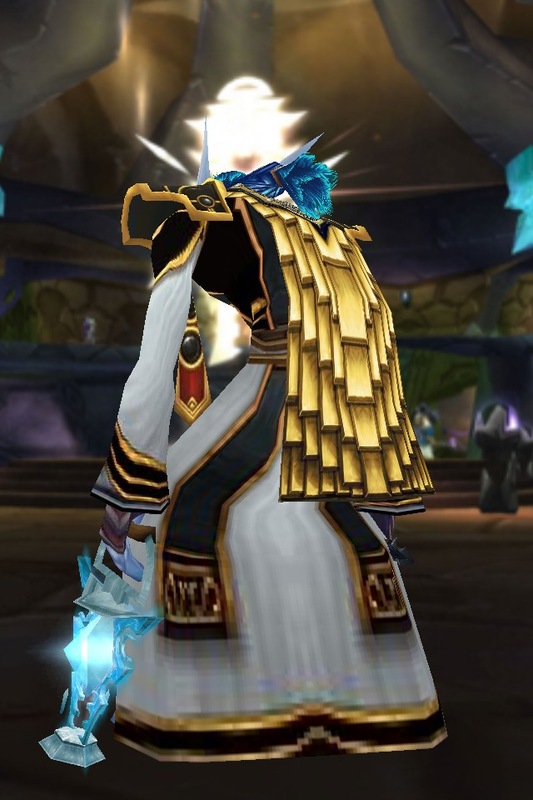 Priests of different playable races use varying lore for their class mechanics. Some use the Holy Light. The Forsaken have twisted the Light into their new religion, the Cult of the Forgotten Shadow. The Darkspear use loa and spirits. I’d like my NPC to reconcile the traditional troll views with the Holy Light. It could begin with a quest to put to rest the spirits of trolls who died during the Liberation of the Echo Isles from Zalazane. Unlike quests that usually urge players to kill undead spirits, the quest would task you with healing aggressive spirits, putting them at ease and finally letting them rest. The spirits would be hostile but immune to damage. Only healing can stop them. Bwonsamdi, the loa representing the spirits of the dead, could walk slowly through the area during the quest. The next quest would send the troll priests to Stranglethorn Vale. 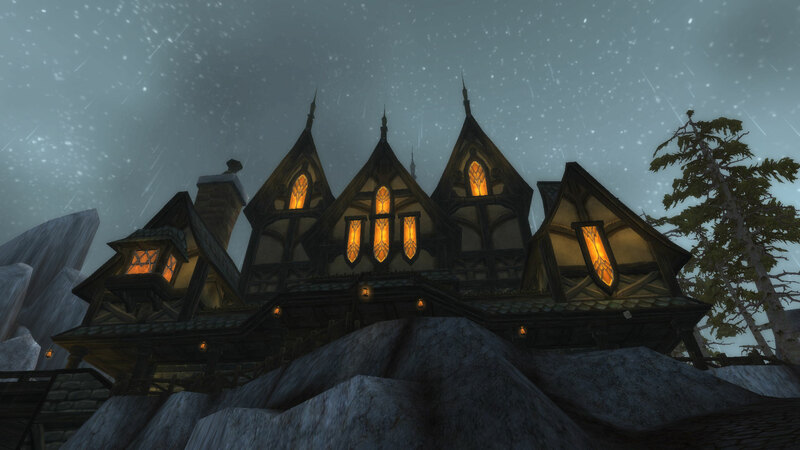 This was the ancestral home of the Darkspear tribe. 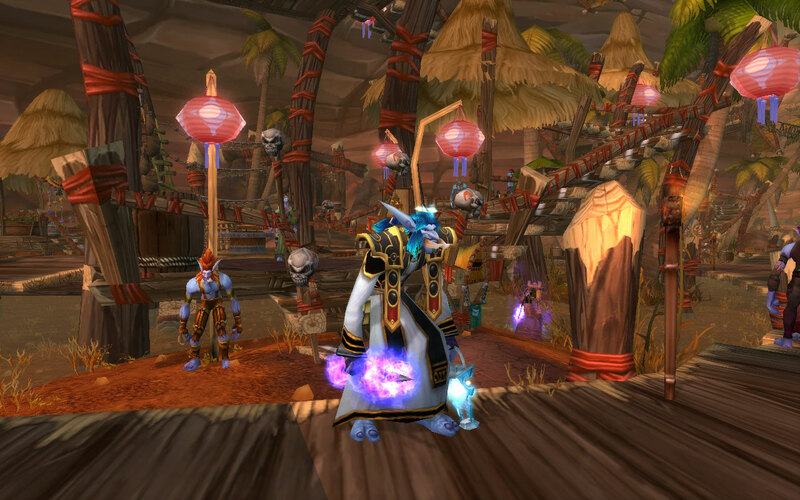 The quest would have players seek knowledge about the loa and honor their ancestors. Rather than being about combat, it would send players to locations in the zone, causing the spirits of ancestors and loa to appear and talk to them. Players will discover that the strength of benevolent loa spirits as well as the love, honor, and respect of and for the spirits of their ancestors empower troll priests. It has been made known to me that inside each of us, the Light resides… that it is a gift, given freely to all naturally born beings. It manifests itself as a feeling, small at first and easily ignored, that confirms truths and subtly prods one to do good. Simple kindnesses, charitable deeds, service to those in need. These are all fruits of the Light. It rewards those who heed its promptings with blessings, both seen and unseen. Personal reservoirs of hope and faith are strengthened, and one’s capacity for greater light increases. Over the course of time, through obedience to the Light’s guidance, one becomes more sensitive to its voice, and its power. Great is the healing and blessing power of the Light’s most diligent followers. I’d like Almonen to expand on this to the players on the quest. He’ll note that the Light doesn’t require worship, and that the Light doesn’t necessarily refuse people who gain power from other means. The lore implications would be that the teachings regarding the Light don’t conflict with Darkspear teachings. Troll priests will end the questline knowing that there’s great power in the Light, but that they can continue their racial traditions as well. It’ll be implied that through interactions with the spirits and even the discipline flavor of overpowering minds, they could still be following the Light. First, my evening started with good news. Fiirnok wants to do LFR again this week with us! No one else in the guild seems to want to do it really, so we decided to do it together on Friday. Then, Darth got online! I haven’t seen him in over a month, so I’m glad he came back around. He plans on getting raid-ready this week and rejoining the raid team next week. Next, some bad news. There weren’t enough people to raid again this week. We need every active raider to be available to be able to raid pretty much thanks to some drops. Oh well. Then back to good news! I spent the evening working on transmog! You can see the front of it above. Below, you can see the back. I was trying on all sorts of random things from the AH and not really finding anything I liked. Then, as I was looking through Mooglegem’s tailoring, I saw the Runecloth Robe. It was so… priestly! I’ve always thought that most gear I’ve had looked too aggressive. When I saw that robe, I knew I had to use it! Then I just had to match some pieces to it. The set can be improved by finding white gloves and by getting rid of this darn dagger. Daggers do not look good for a priest. As soon as I get a mace, I’ll have plenty of transmog options. Just you wait!